Our Camp Family spent the weekend at Welgegun Kampplek just outside Rawsonville. Friday evening saw the campers play a caravan version of Tetris as we got our 14 camp families arranged into the campsite that should only host 10. Once everyone was settled we had more than enough space for everyone and the kids had ample space to run around and play. The kids loved swimming in what was left of the river, while the dry river bed made the ideal racetrack for a few of the kids to drive their RC cars. Saturday morning saw campers head off to the wine farms in the area for a bit of wine tasting or to do some retail therapy at the shops. 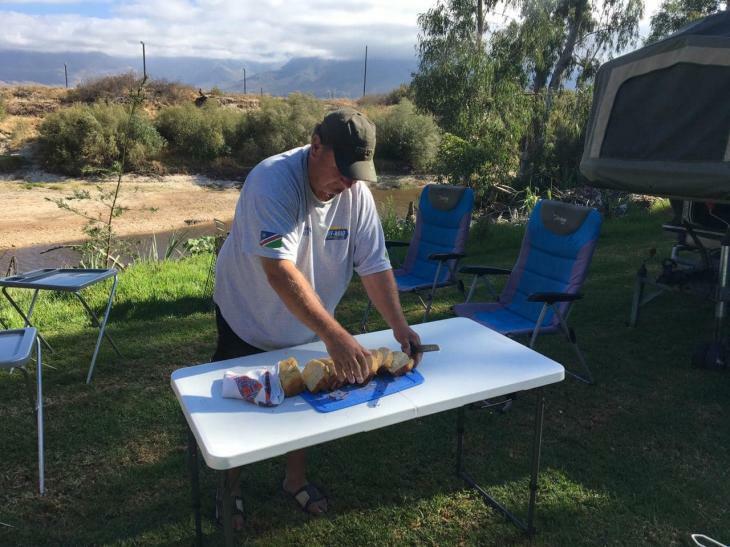 The Communal Braai was held on Saturday night with lots of fun and laughter around the campfire. The highlight of the evening was coming up with nicknames for our fellow campers and we had everything from Early B, Koekie Lookie, Prof Os, Stoffel, Snowflake, Sasko Sam and Spider Man. Sunday morning saw the campers enjoy the facilities a bit longer than normal given that we were only around 1 hour from most people’s homes.